Reducing prescription opioid misuse, abuse, and addiction in your practice can prove to be challenging. We hope these materials from trusted sources can help. 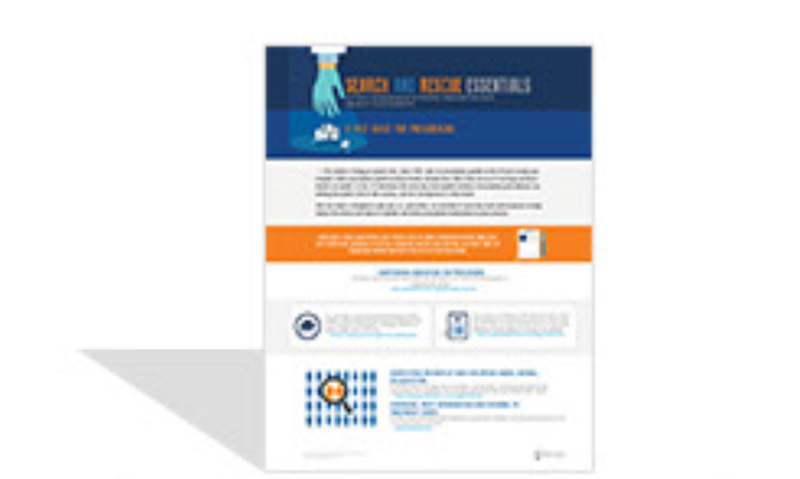 Identify	Identify patients who may be at risk for misuse, abuse, or addiction. 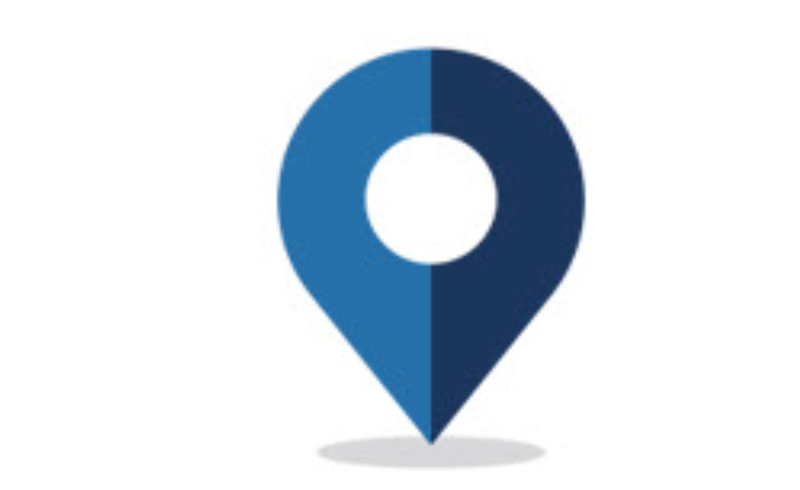 Check recent prescribing data for your patients to identify questionable behavior. 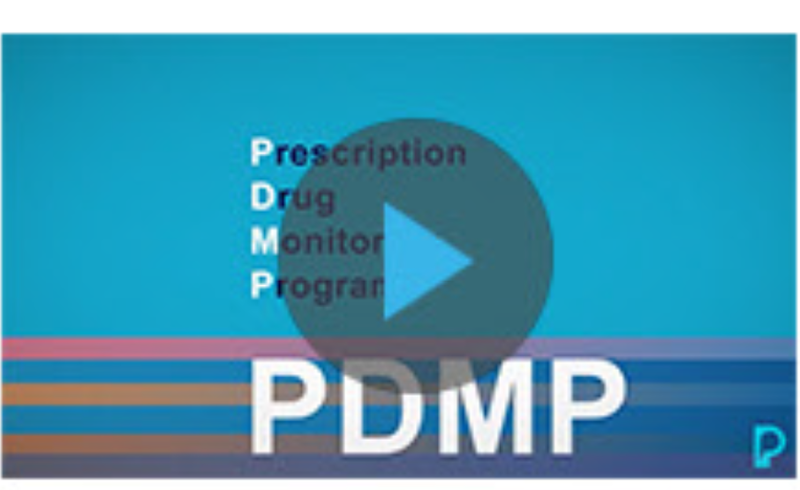 How Can the PDMP Help? Dr. Daniel P. Alford explains how the PDMP can help identify when a patient obtains multiple prescriptions. 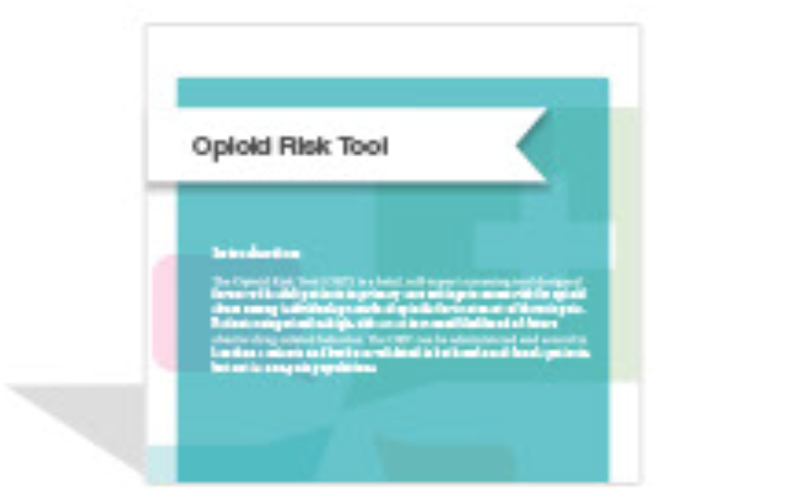 Use this quick opioid risk assessment tool to assess risk for opioid abuse among your patients. 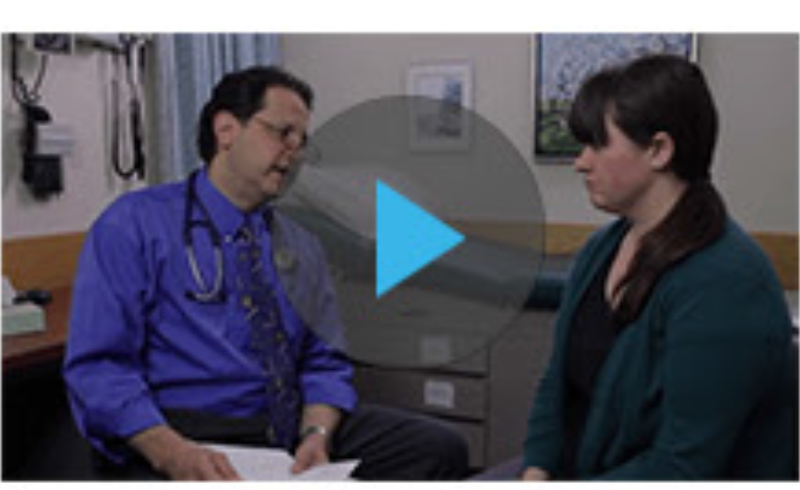 How would you speak with a new patient you suspect may be at risk for misusing opioids? 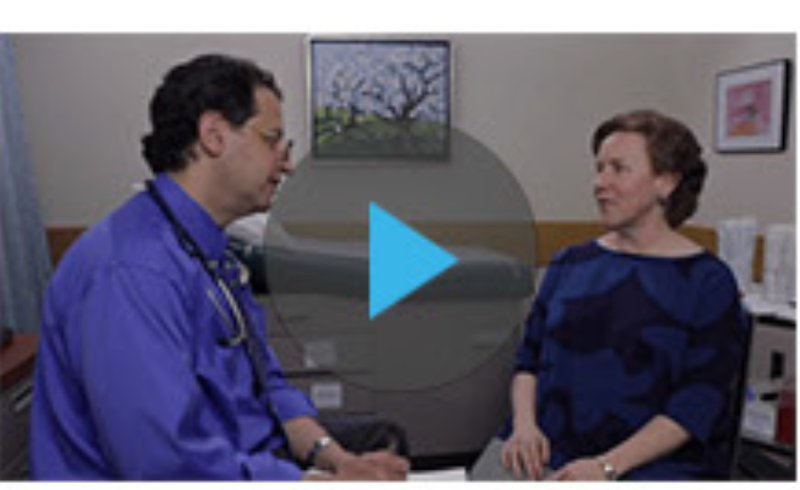 How would you speak with an established patient whom you suspect may be misusing opioids? Manage	Help build a safe treatment plan for patients in trouble. 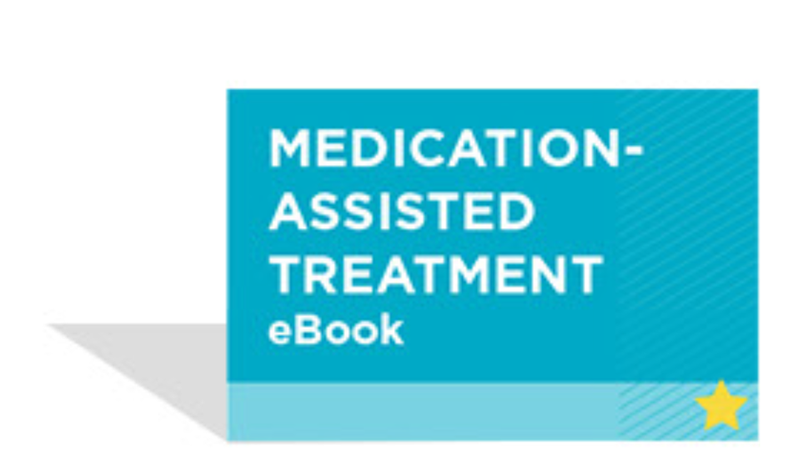 Access free Continuing Medical Education (CME) from Boston University to help manage patients with chronic pain who have been prescribed opioid analgesics. 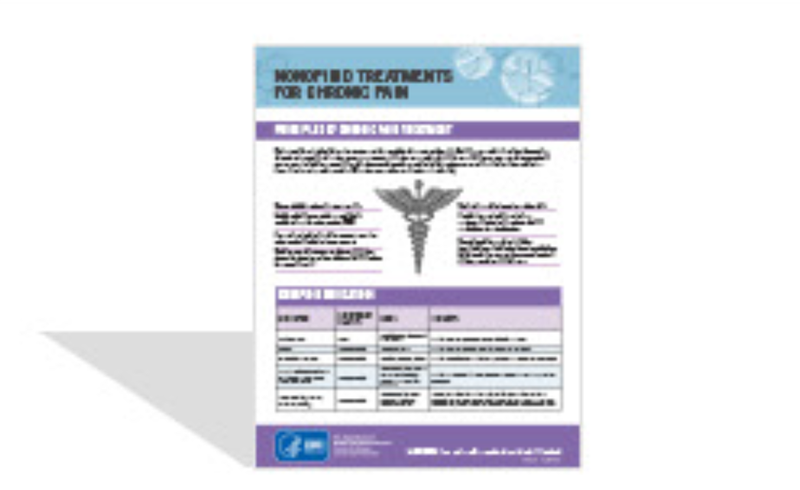 Read the full CDC guidelines for prescribing opioids published in 2016. 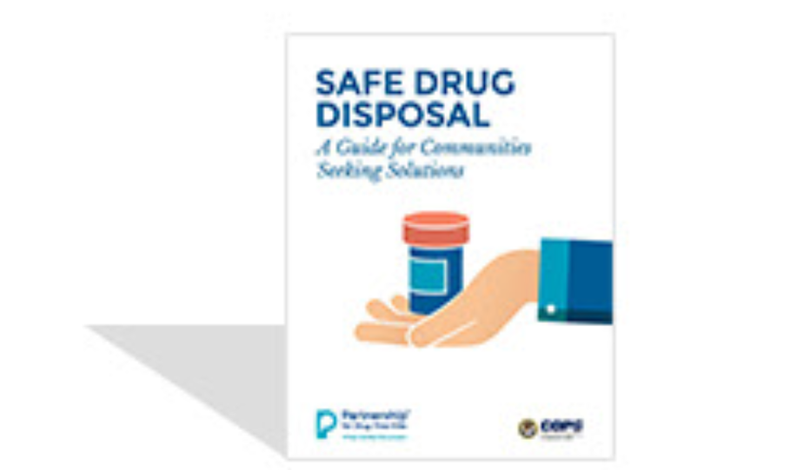 Key tools and resources to help you understand and reduce opioid misuse. Explore new treatments to offer your patients in need of relief. Find treatment centers for patients with addictions. Educate	Create a foundation of knowledge for your patients and your practice. Step-by-step instructions for disposing medicine properly. 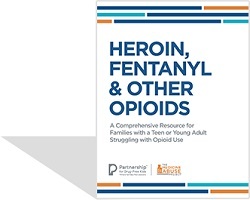 Resource from the Partnership for Drug-Free Kids. A guide for parents & caregivers of teens & young adults. Easy-to-understand opioid information for patients. Harvard pediatricians give input on the steps to take when children are prescribed pain medication. Learn how the opioid epidemic began, how to keep your community safe and how to help a loved one. Learn how to address the opioid public health crisis from renowned experts. 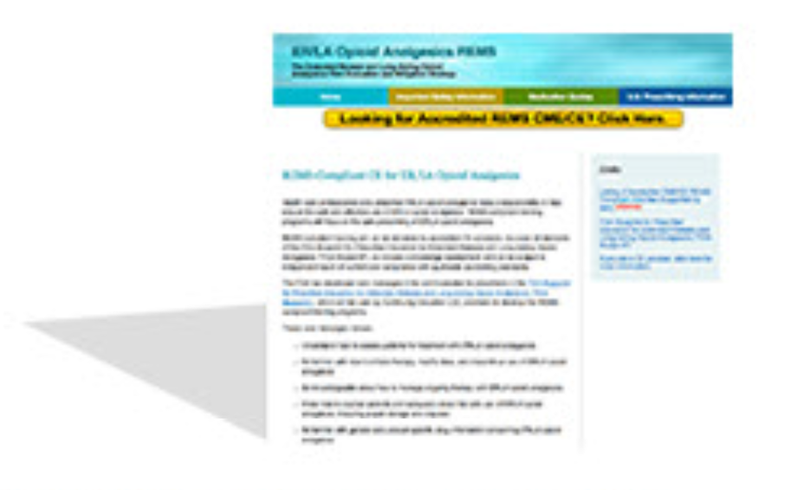 Access REMS-compliant CME courses specific to prescribing ER/LA opioid analgesics. 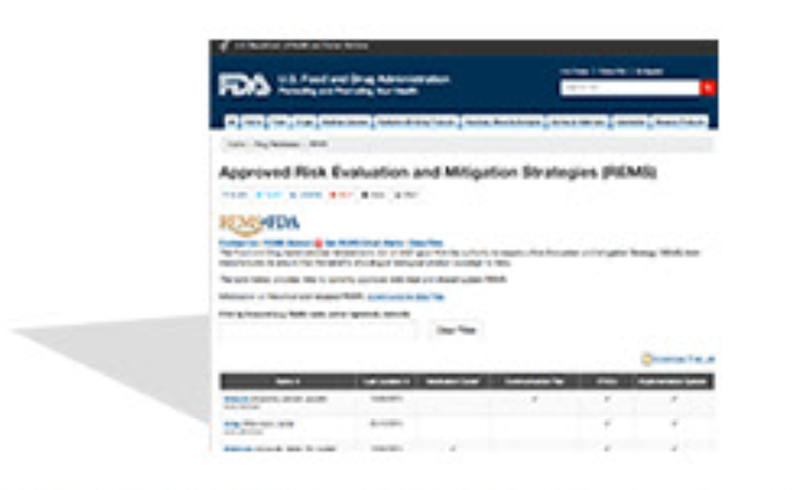 Review REMS per drug product via the searchable FDA database. Centers for Disease Control and Prevention: Opioid Overdose. https://www.cdc.gov/drugoverdose/index.html. Accessed March 22, 2018. The American Society of Interventional Pain Physicians (ASIPP) Fact Sheet. 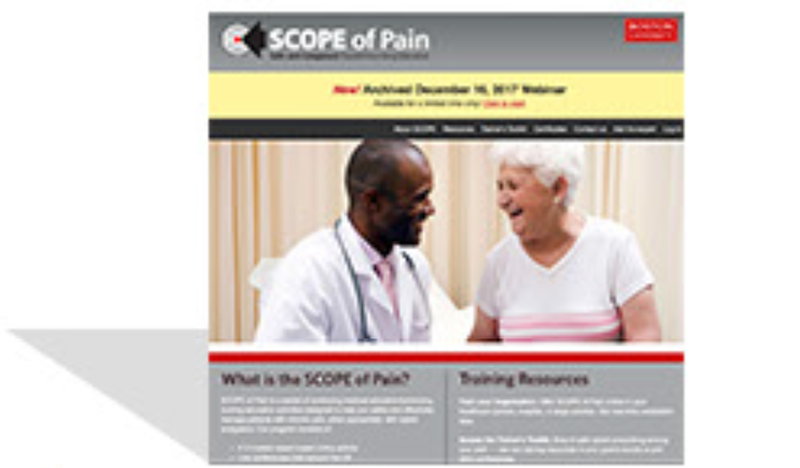 American Society of Interventional Pain Physicians website. http://nasper.org/Documents/FactSheet-DrugAbuse-2011.pdf. Accessed March 22, 2018. State prescription drug monitoring programs. 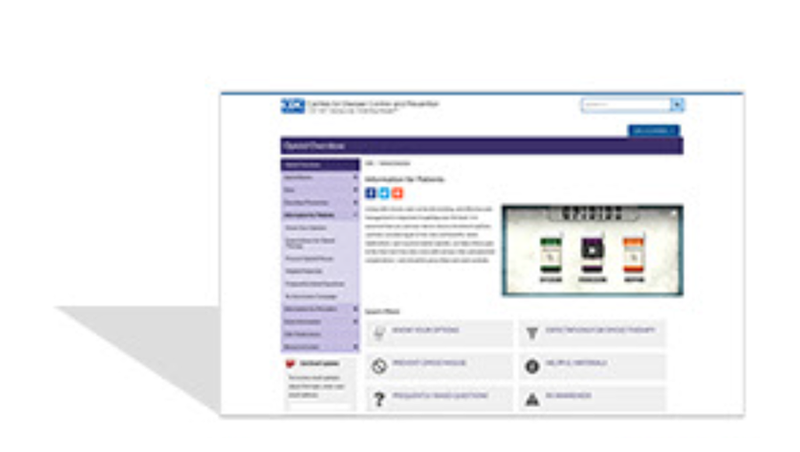 Office of Diversion Control website. http://www.deadiversion.usdoj.gov/faq/rx_monitor.htm. Drug Enforcement Administration website. Updated June 2016. Accessed March 22, 2018. 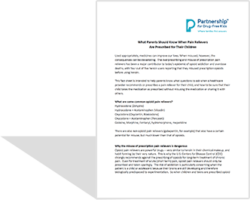 Prescription drug monitoring frequently asked questions (FAQ). Brandeis University. 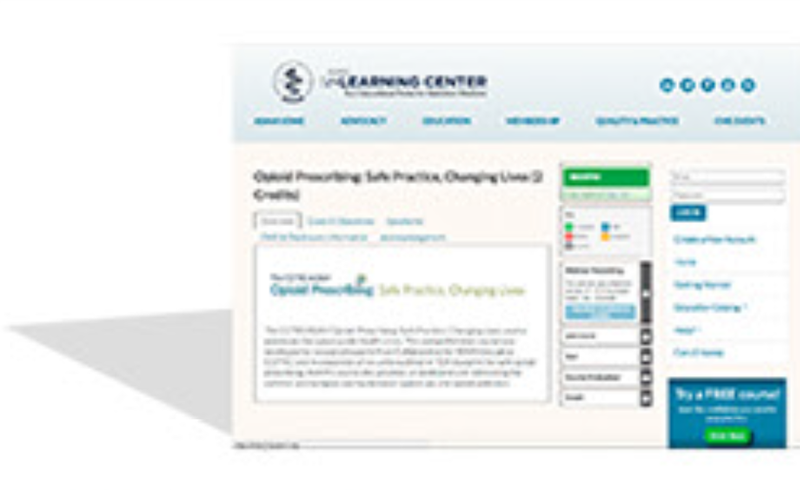 Prescription Drug Monitoring Program Training and Technical Assistance Center website. http://www.pdmpassist.org/content/prescription-drug-monitoring-frequently-asked-questions-faq. Accessed March 22, 2018. 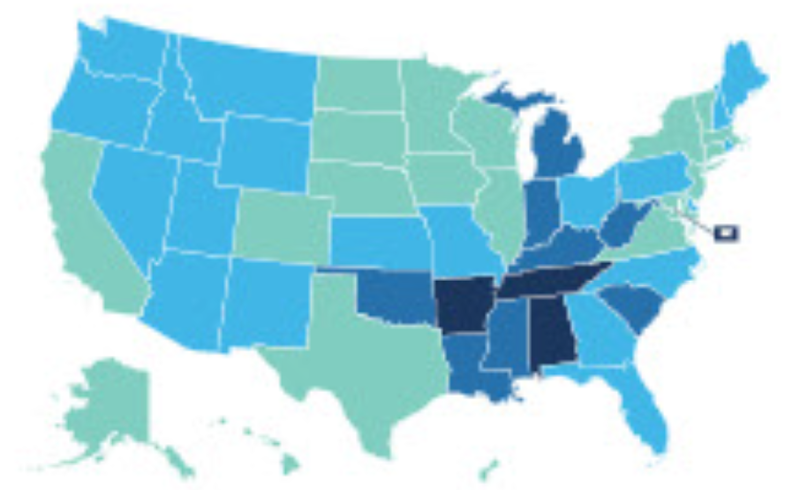 U.S. State Prescribing Rates, 2016. Centers for Disease Control and Prevention, National Center for Injury Prevention and Control, Division of Unintentional Injury Prevention. https://www.cdc.gov/drugoverdose/maps/rxstate2016.html. Updated July 31, 2017. Accessed March 23, 2018. 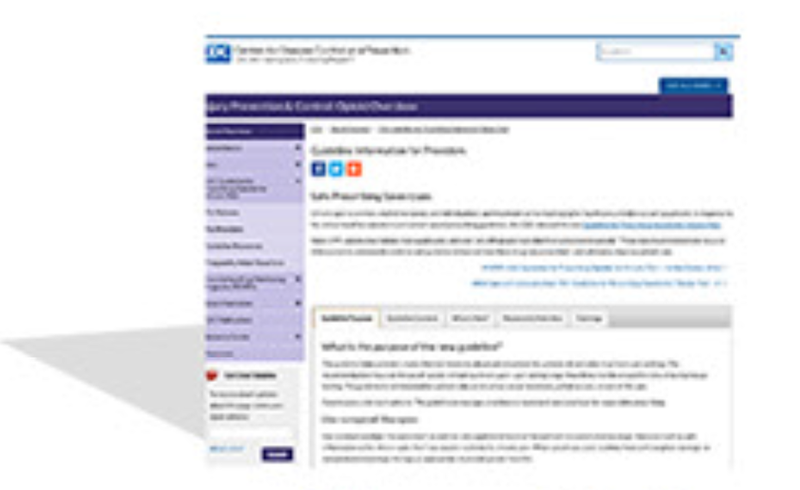 Centers for Disease Control and Prevention: Prescription Opioid Overdose Data. https://www.cdc.gov/drugoverdose/data/overdose.html. Accessed March 30, 2018. Why guidelines for primary care providers? Centers for Disease Control and Prevention website. https://www.cdc.gov/drugoverdose/pdf/guideline_infographic-a.pdf. Accessed March 22, 2018. Substance Abuse and Mental Health Services Administration. Center for Behavioral Health Statistics and Quality. Results From the 2015 National Survey on Drug Use and Health: Detailed Tables. https://www.samhsa.gov/data/sites/default/files/NSDUH-DetTabs-2015/NSDUH-DetTabs-2015/NSDUH-DetTabs-2015.pdf. Published September 2016. Accessed March 22, 2018. Hedegaard H, Warner M, Miniño AM. Drug Overdose Deaths in the United States, 1999-2016. https://www.cdc.gov/nchs/data/databriefs/db294.pdf. Accessed March 22, 2018. Centers for Disease Control and Prevention. Drug Overdose Death Data. https://www.cdc.gov/drugoverdose/data/statedeaths.html. Accessed March 22, 2018. Jones CM. Heroin use and heroin use risk behaviors among nonmedical users of prescription opioid pain relievers—United States, 2002-2004 and 2008-2010. Drug Alcohol Depend. 2013;132(1-2):95-100. *The Partnership for Drug-Free Kids wishes to acknowledge that this work was supported by the US Food and Drug Administration, Center for Drug Evaluation and Research, under grant number 2U18FD004593-06. The content is solely the responsibility of the Partnership and does not necessarily represent the official views of the US Food and Drug Administration.